Tonight’s the first night of a January residency for the Bitchin Bajas, the side project of Cave’s Cooper Crane. Every week promises a different foray into a synthesized, ambient / experimental world with possible guest musicians. Bitchin Bajas also play Pysch Fest at (you guessed it) Hideout on Saturday night. Magic Key is Aleks Eva in a more synth-based version of Aleks and the Drummer. In fact the whole night features “four young ladies performing s[yn]thtastic solo sets” with Gel Set, Sara Weis and Matchess opening up. One of my live bands with one of my favorite albums of 2012 kicks off the year right. Radar Eyes’ ferocious garage rock should be familiar to you by now, and it’ll be nicely contrasted with the more subdued and introspective sound of Speck Mountain to open up. Another band with one of my favorite releases of 2012. Tonight is the first of two chances to catch the layered and complex, retro-futuristic electronic tunes by the quartet. On Saturday, the band plays an in-store at Saki Records. When I finally saw this trio live, I wondered what took me so long. With a foot in the door of punk rock as well as more rhapsodic indie rock, these guys create a sound as energetic as it is melodic. Geronimo headlines. 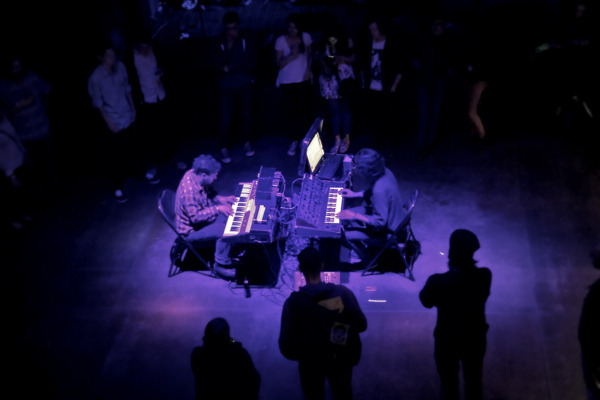 For something more ambient this week, head to this intimate set with indie-orchestral group. For a taste, check out the ominous video for ‘(Laid) Palms to Rest.’ They also play the night before at Empty Bottle opening for the Soft Moon. At the end of a more experimental, ambient, and dead-of-winter fueled week, kick it up a notch with the punk rock attack of Massive Ego at this CHIRP monthly fundraiser.